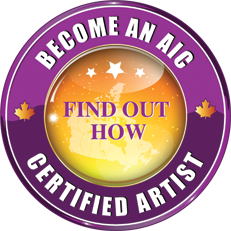 Canadian Artist Dennis Cound creates one of a kind antler carvings, necklaces, bracelets, crib boards. He carves bone and has original stone carvings available! "Wildlife is a favorite theme of mine. My 20 as a locomotive engineer, through Natures backyard, has given me inspiration and a deep appreciation of wildlife. From Yoho and parks to the Nicola valley and Fraser Canyon, I have witnessed Moose, black and grizzly bear, elk, deer, bobcat, lynx, bighorn sheep, mountain goat, beaver, otter, coyote, eagles and wolf in their natural." 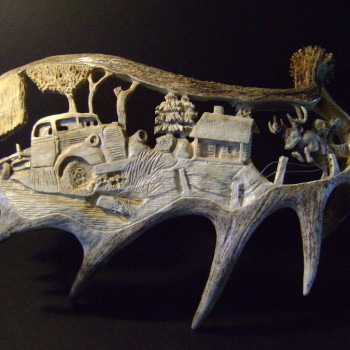 Recently, my antler carvings are expanding to include carvings of " moments in time". A combination of pictures of everyday life and the beauty they possess. As well, small trinkets like necklaces, bracelets, crib boards, pick holders, key chains and small knickknacks. As well, I am actual bear, coyote, lynx and wolf skulls too. Rest assured, that all antlers and skulls are bought or given to me legitimately. Please keep in mind that each of art is one of a kind, unless instructed to do so. All stone carvings are done with chisels, rasps, rifler files and keyhole saws. The smaller are with a rotary tool as is with all of the antler. are enjoying my in private, public and corporate collections. My work is sold worldwide. I was one of 15 from 1200 artists that took home the coveted ART TOUR INTERNATIONAL MASTERS OF CONTEMPORARY ART AWARD in Montagnac, France !!! !